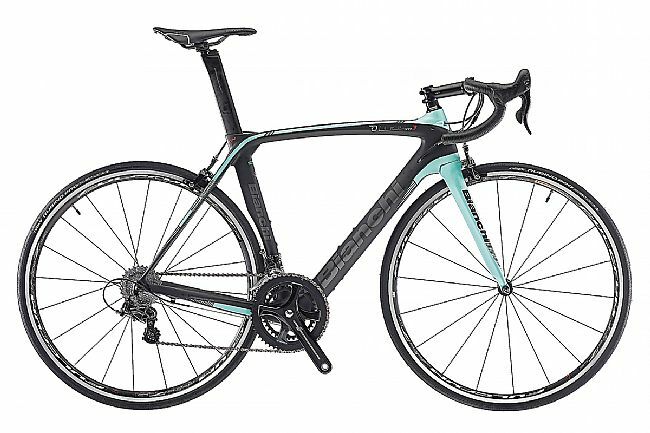 The Bianchi Oltre XR3 2018 Ultegra Road Bike has raised the bar for the aero road category. It moves beyond checkbox features like racing geometry, aero tube profiles, and a stiff driveline by adding Bianchi’s exclusive Countervail vibration cancellation for greater control, more effective rider positioning, and long distance comfort. Rear Derailleur: Shimano Ultegra 11sp. Crankset: Shimano Ultegra Hollowtech II, 52x36t. Bottom Bracket: Shimano BB72 PressFit. Handlebar: Reparto Corse Compact Flat Top 31.8mm. Stem: Reparto Corse 3D forged alloy. Saddle: Selle San Marco Concor Startup. Seatpost: Bianchi Oltre Full Carbon Aero. Wheelset: Fulcrum Racing 7 LG. Manufacturer Warranty: Frames and materials: 5 years.